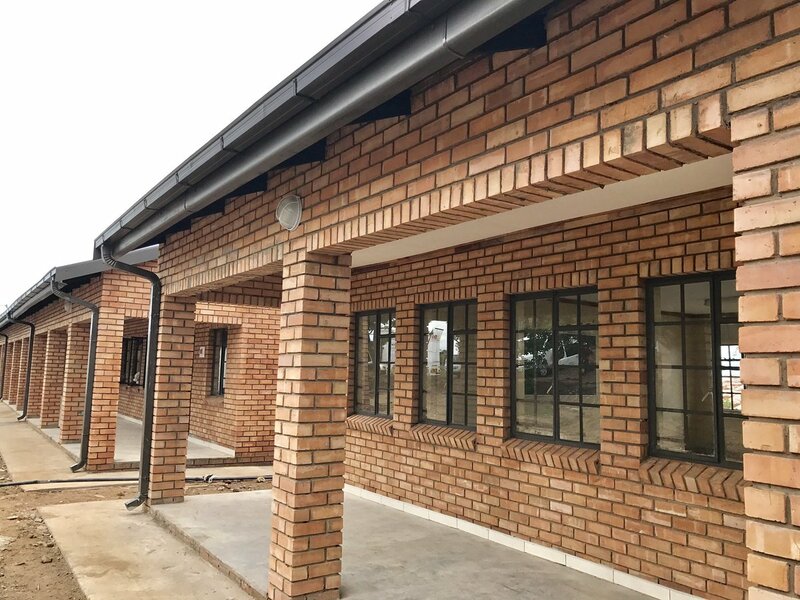 For R28m I'd expect a top of the line computer centre, restaurant, hot water in every class, whole school covered with wifi, undercover parking, amphitheatre, gym and an indoor sports arena. Ultimately responsible for this entire mess - Minister Bathabile Dlamini. 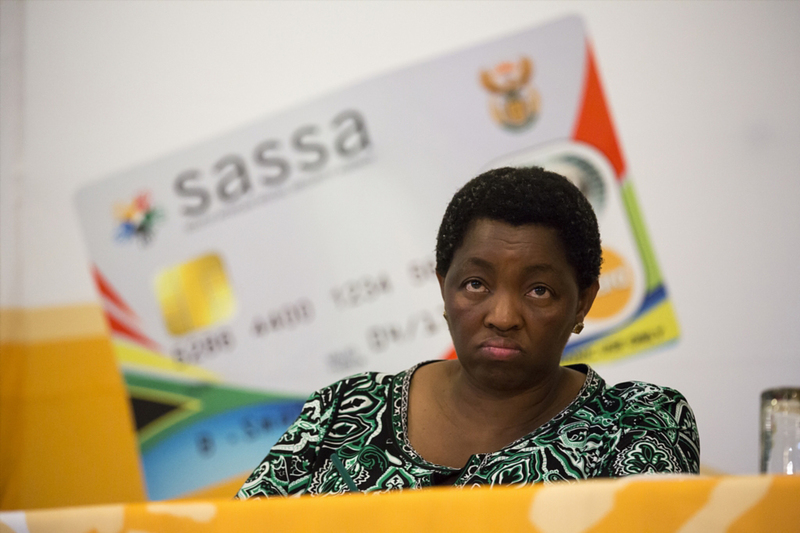 She was even kind enough to flush SASSA down the toilet on her way out. Everything they touch turns to sh*t.
Sad.This government is leaving the children worse off than their parents were. Yeah, life was a little laid back. Things have since changed and good education and skills training is a necessity for most of us. Machinery has since taken over jobs our parents did. An excavator can do what hundreds of people did, in a very short time. And most people had a bit of hope. These kids parents were probably 10 ish when the new south africa started. I see lack of lintols. Imagine running into that in a dark alley. Would be good going, until she spots you. It is unusual for lintols to be visible when building with facebrick. That would be the entire ANC cabinet. Now imagine if education was a priority? There would be more people who could actually build the excavator. South Africa could possibly compete with the rest of the world. AA could've stopped after ten years like it was supposed to. Varsities could have people heading for engineering degrees, science, argri culture and fields that matter. Imagine a government that cared for its people? Didn't tax the few that are being it a float to death? Man it would be a place that was promised to us. Instead we get everything touched by the ANC just crumble to dust, they've not built anything instead just plundered and looted not realising that if you had a prosperous country you can loot longer and keep it hidden. Supposed to or wishful thinking? Aren't you looking to move to western Europe/Oz/NZL as well? I doubt AA would've stopped that quickly but you do make a good point on quality of education. Was supposed to stop, it was supposed to be a temporary thing to try equalize businesses, it was never supposed to be permanent. As a lot of people have said the whites make up 8% of the population, even if they are removed it would perhaps add a million jobs? Leaving 40 million without, so a better education would've helped a lot more, also cutting back on red-tape and tenders would've also. My step-dad left the country taking his small business with because of the constant red-tape he ran into. I know a few people who just closed up shop and left over all the hassles. Those small businesses could've provided a few jobs and if you multiply that a few times there'd be more jobs and so on, but it seems the government focus isn't on the people but on how much and how quickly they can plunder. So where would the lintol go? It is a single one put on the inside to support the wall above, will see if I can get a pic, you can see it from the inside if a concrete one is used.